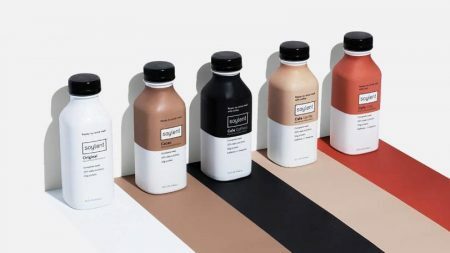 The Americans created an eco-innovation which can promote a culture of home planting of vegetables and fruits for people to popularize the ecological way of life and thinking between the most exacting citizens. What catches in this project? Its unusualness. Where else can you see a unique travelling fruit and vegetable garden afloat? 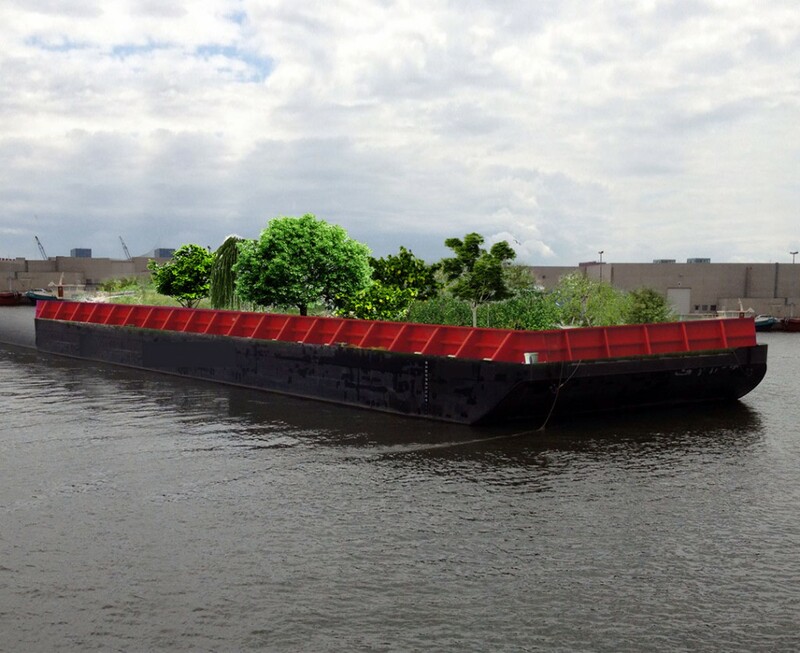 Everything began when New York eco-activists gathered together and transformed a usual barge of maritime containers into a platform on which edible cultivations can be grown. 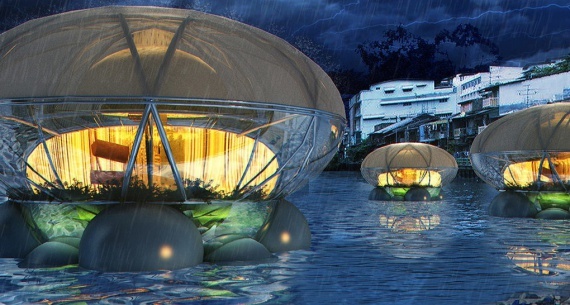 Nowadays the floating garden called Swale travels by water in the city. Different vegetables, fruits, berries and grass plants which are being irrigated by the means of rivers and rain water grow in the area with dimensions of 40х12 m. Among other things there are sights for sore eyes – interactive installations and recorded bird singing. All New York residents can not only come and watch the growth of plants, ask questions to a curator but also take any seeds and adult plants they want absolutely free. The project Swale was successfully financed through the Kickstarter Company, having gathered more than 32000$ and launched in June 2016. 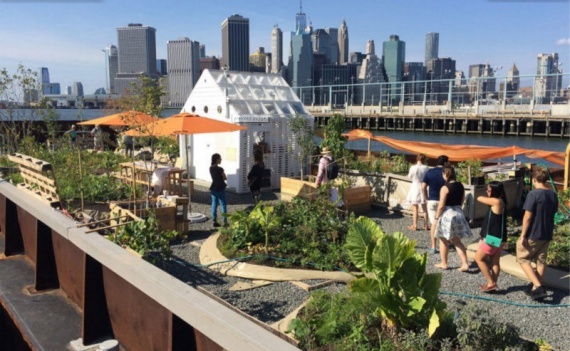 Its goal is to allow citizens a free access to fresh food and create constant food forests on a New York public land in the nearest future. According to the group of project designers and engineers, with the help of Swale NYers learn to understand the nature and farm, deal with problems of getting fresh vegetables, get used to the home farming culture. The authors of the project are sure that their floating garden will give food not only for stomach but also for reflection. For historical reasons, it is forbidden to grow products for sale on the public land (on the most part of which the city is situated). That’s why the activists decided to use water area, and they hope that the authorities will reconsider a decision toward prohibition on agricultural activity in the city area in the future. Meanwhile, the organizers of Swale have already gathered support of sponsors who understand the importance of rational treatment of the use of the city green areas. By the way, one more project of the floating agricultural greenhouse called “Jellyfish” was developed by the designer Janning Hang together with the Swale. In appearance the construction really looks like an animal with tentacles. Solar panels serve as materials for the roof, and the rising walls are made of glass. What was behind this choice? Everything is simple: the panels accumulate energy for functioning of the inner garden and the work of the water filter system, and the walls go down during the storm defending the construction and garden. 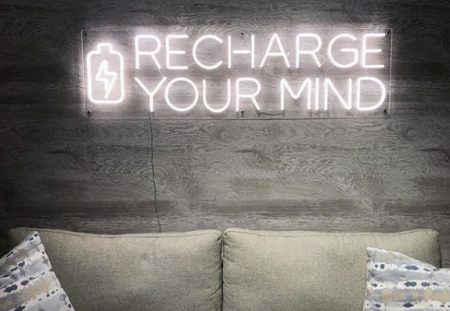 During the solar weather an electrostatic field works instead of the walls. It protects the garden where any organic products are being grown against mosquitos and microorganisms. And besides that, the Jellyfish is equipped with unusual tentacles with sensors which constantly search for waste and clean the water from the whole rubbish that floats in the deep. In addition, tentacles aren’t harmful for the aquatic fauna. The sensors also measure the toxicity. If the water is too polluted it is pumped down into special lower containers with microorganisms which clean the water. The construction cleans one portion of water and takes the next one. 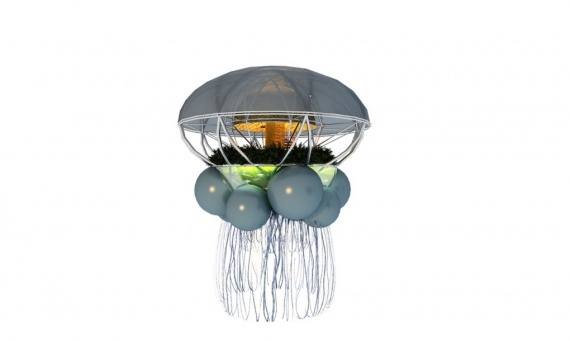 Swale and Jellyfish are the unique projects of biodesign which simultaneously yield benefit to the environment, grow plants in the aquacultural garden and develop home planting culture in people changing the development strategies of the whole cities. 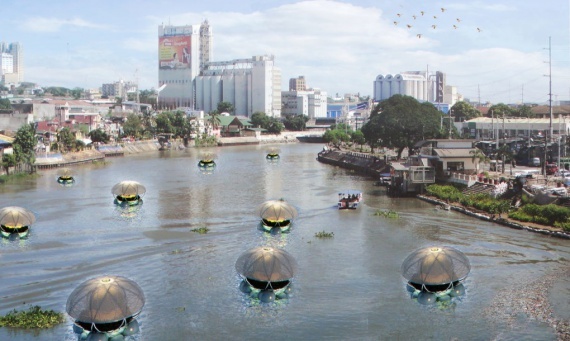 Posted in Ecology and tagged farming, Floating agrofarms. Bookmark the permalink.